Add night life to any dorm room, deck, bedroom, ballroom, or even your mama's basement! Rotating DJ party light fits standard light sockets and lamps to create a fun display of colorful lights. Perfect for ceiling lights, desk lamps, floor lamps, and more! No batteries required--just install in existing light fixture to get the party started. 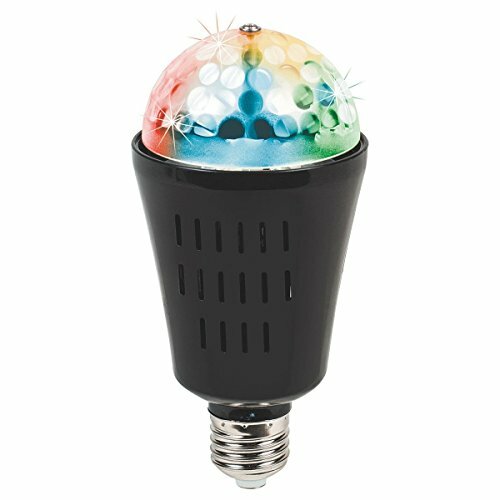 Rotating DJ party light fits standard light sockets and lamps to create a fun display of colorful lights. Perfect for ceiling lights, desk lamps, floor lamps, and more!